Today's European Nintendo Direct broadcast certainly showed a festive spirit, with Nintendo of Europe President Satoru Shibata outlining a "Nintendo Network Promotion" to encourage 3DS owners in the region to either create an ID or link their Wii U equivalent. Nintendo Network IDs were added with the major 3DS system update on 10th December, and a new promotion will offer a free game to those that have already setup an ID on the portable or do so before 31st January 2014. 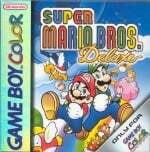 That free download will be Game Boy Color title Super Mario Bros. Deluxe; it's a remixed and enhanced version of the seminal NES game. It includes new challenges, adjustments to the gameplay and even a two player vs. mode on top of the classic platformer, and in our retro review we awarded it a perfect 10. Download codes will be sent to the email address linked to your Nintendo ID after the promotion closes, between 13th and 28th February 2014. At the time of writing this promotion has only been confirmed for Europe. Do you have a Nintendo Network ID or plan to set one up? If so then this freebie will come your way. Man, I remember playing this all the time as a kid. Hopefully NA sees it to, but you EU folks enjoy it! Wow NA is missing out on a lot of VC stuff recently. What's the deal? OH YEAH. If you haven't played SMB Deluxe, I TOTALLY recommend getting this; it's got the NES classic, a challenge mode that's simply amazing (and infuriatingly difficult sometimes. ), a race mode against Boo that's quite fun, and plenty of secrets to unlock (coughlostlevelscough.). It also has lots of stuff to be used on the Game Boy Printer. A pity we won't be able to do anything in that regard in the 3DS. It's an excellent offer, but I hope this is released worldwide as a normal purchase, because it's well worth paying for. Really, it's just that good. The Free Excite bike - From when the 3DS eshop first began. The Free Nes and GBA games - From the Abassador program. The Free Zelda four swords game - From when it was Zeldas 25th anniversary. I sure wouldn't mind replacing NES Super Mario Bros. with this version and I already have a NNID, sooo... please Nintendo? @dudey300 - Yeah me too! Oh well, back to Zelda! I will be waiting for that email, Nintendo. Sometimes, I just wished I lived in europe. Another free classic, my 3ds is going to lose bits here! Well, not that I object. Please let they be a awesome freebie for NA. Is this a club nintendo thing? IE do I have to switch my country into UK to be part of it? It said they send you the Download code via E-mail.. As far as I'm aware the only way they would know your email is via the nintendo club thingy. I'm not quite sure why Nintendo is offering an incentive to create or link your NNID, but I'll gladly take the freebie all the same. Oh man, what about us in the Americas? THIS NEEDS TO COME TO NA. THAT GAME IS MY CHILDHOOD MAN. C'MON. "31st January 2013" spelling error ? I still own the cartridge for this one. I've heard many recommendations for this game, now I'll finally get to try it out! Reggie, you're going to have haters now. By far my favorite version of SMB and while I havr the NES oroginal due to ambassador status, this is a day one if it makes it to the states!!! This should be on the noa eshop. Mad good game plus dat ribbons and medals collection. I know Nintendo is doing this in Europe because they are struggling there, but they should reward North American users once in awhile. Can we BUY the game? Yay! Free stuff is some of my favorite stuff. I want free stuff! 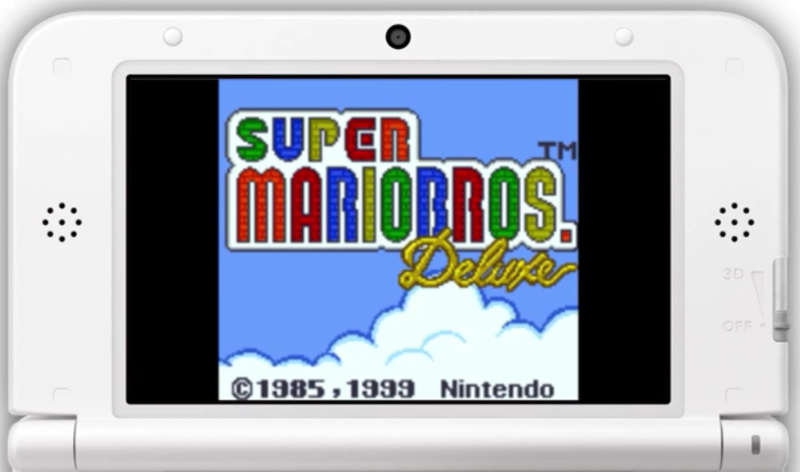 Nintendo of Europe has had about three free Virtual Console games in the past year! Didn't you guys get free Kid Icarus or something? I can't remember because I never got the chance to get it! And what about those trophies that I begged for? Now I'm going to cry like a little babby and complain to my mom about this!! No, but really, I hope that this comes to America soon. I had the cartridge when I was still in primary school, but now it's just dust. Too much dirt has scuffled the cartridge throughout all these years, I wouldn't mind playing it especially if I haven't already. I never did get the code for the arcade version of DK on the 3DS when I fulfilled the conditions though. @justinluey They reward North America with loads of free downloads. (Our Club Nintendo is useless tat). This is the first really decent one we have had. (Other than the free 3d Land promotion and perhaps the buy 3 get one free 3DS games). Yours is a free VC game every 4 retail or something which is miles better. Never was a big fan of Deluxe. Gimped the gameplay and trolled you with an annoying lessened field of vision. Added a bunch of bells and whistles. I'd rather have the original, non-deluxe, non-JP remake version. COME TO THE USA PLEASE!!!!!!!!!!!!!!!!!!!!!!!!!!!!!! @SirQuincealot i loved this aspect. Adds a tad adventure feel to the game by forcing you to stop and check your surroundings and makes it more difficult! I wish they could expend the small amount of effort to put the field of view back to nornal. and playing through the 5 challenge modes just added more difficulty, thank god even on gameboy you could save at any point in the level, never would have beat it without it. I'm actually surprised this made it to the eShop, considering that both the original and the Lost Levels were released on there too. In any case, if NOA decides to follow suit, I'll take advantage of the free download. Completely missed this one as a kid and I`m looking forward to playing this for free in February. Thank you Nintendo for a fantastic Christmas present. Most of my friend`s kids are not allowed to play on-line, yet alone be allowed to register for a Network ID. Think the kids of Europe may help convince their parents with a little free gift like this. @Edgy Which is why they are giving it away. Those other games you can think of are more likely to be better sold. @unrandomsam Nope. Thats what the NES originals are for. You can own the NES versions and Deluxe but still have use for them all. Not completely holding my breath on an NA release. NOA has a mind of their own. Damm.....I wanted to get this game! This is THE definitive version of SMB for me, and it completely pwns the other versions. I don't mind about the more limited screen size, which is really the only flaw here, because everything else is simply perfect. It's been hard for me to go back to the original NES version, as it lacks all the cool extras and is quite boring in comparison. I only wish Nintendo'd add wireless multiplayer to the vs. mode, as I never got to experience it as a kid. Too bad that's only a PIPE dream (harhar). This promotion is also available in Japan too btw. Already done it! Can't wait I love the original title! I've wanted this on the 3DS for the longest time. I'm sad that it's only for Europe right now. I did some digging around, since there's nothing that really states directly about Japan getting this, and it turns out that we're getting this promotion in Japan as well! Its weird, but even though its not really been advertised as far as I can tell, its still happening. So its not Europe exclusive. Will this be actually for all of Europe or again only to select few countries? Was it confirmed that all countries get this? Nothing beats free and you can never have too much Mario, so that's rather cool news. Huh? I did everything, changed my email (because i thought they gave me junkmail with boring information), accepting my Nintendo ID email and i've putted the code and i didnt got the game? Not even the code from the game. It was a scam Nintendo, and i did it between the time! This is the definitive version of Super Mario Bros. Quoting this very article: Download codes will be sent to the email address linked to your Nintendo ID after the promotion closes, between 13th and 28th February 2014. So, you (and everybody else who takes part in the promotion.) should get the game in February. @Bass_X0 The NES is and always will be eyesore. The interesting bits from this. The sprites from All Stars and then the physics from the original is what is needed. (I would pay full retail for it even.) I won't pay for zero effort on the part of Nintendo though. I have a question. If i make my Nintendo Network ID on my 3DS, can i later connect it to a Wii U? naturally north america ges NOTHING! @Worthy Indeed. Free stuff like that justifies my 32GB SD Card. I still play those Ambassador games, I'm stuck half-way in Fire Emblem, it's just not my cup of tea. Anyway, thank you Nintendo, my birthday is smack dab in the middle, that is if it comes to Australia..
Once again, NA gets the shaft. That's good news! I rented this one a couple of years back, and it was the first time I did beat the original Super Mario bros (and even the included Mario lost levels, since you could finally save it)! And I believe there was extra content, like pictures you could collect, Yoshi eggs and a timetrial! Fun stuff, will download it soon! Aww I'm jealous! I hope NA gets this too. I have already got the NES version of Super Mario Bros on my 3DS from the Ambassador Program (aka early adopter program) - apart from the map this looks exactly the same. Go Nintendo! NIce, might be so that tomorrow some download codes start to arrive. So two free games in one week, Super Mario Bros Deluxe and Dr. Mario. it's already 14th February, still haven't receive my download code, has anybody else did?